Making a Difference...at conferences, and beyond! Here at Sparkie, we try to sponsor or attend an animal welfare-related event every year. It’s a great way to stay connected to the national animal rescue community and learn more about the latest trends in the space. This year, Kelly and Brownie (yes, our 3-legged canine mascot came along!) 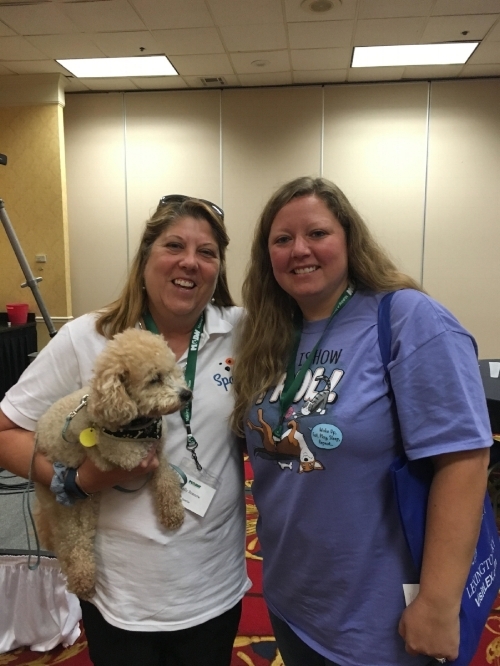 had the opportunity to attend the ‘Making a Difference Now, Kentucky’ animal welfare conference on September 21st. It was a great day of learning and networking with wonderful speakers, representatives from Best Friends, and, of course, amazing local rescue groups! This year, we were proud to be an official sponsor of the conference! A common thread throughout all the talks given was the importance of DATA, DATA, DATA; in fact, we noticed the topic came up in about every 5th sentence! And we couldn’t agree more. Without data, animal rescuer groups may struggle to prove their impact or make the case for receiving grants or support from government organizations. The bottomline is that data unlocks opportunity. Data - recording it, reporting it, and analyzing it, was a key theme of the conference - and we couldn’t agree more! Another area of focus during the conference was the importance of collaboration across different animal welfare groups. Creating communities that work together was cited as one of the best ways to go about giving more companion animals positive outcomes. In particular, building a coalition that is committed to reaching a common goal (for example, a 90% save rate in Kentucky) is what many states around the country are doing with the help of Best Friends and their local animal welfare groups. O.K., maybe not a theme of the conference, but we can’t help and share our favorite photos from MADNKY! 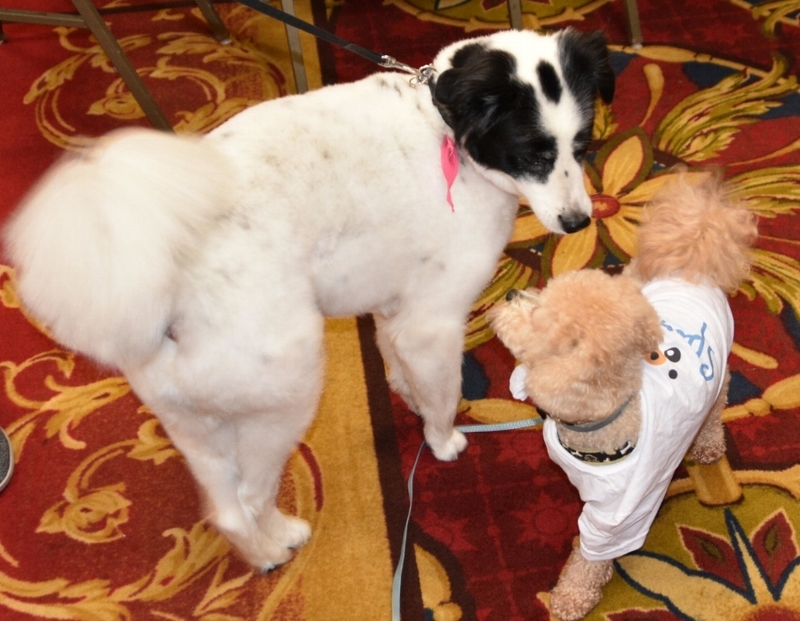 “So, what do you think about data?” Brownie asks a fellow canine attendee (by the way, check out his cool Sparkie t-shirt! Kentucky has lots of good things planned for animals, and we intend for Sparkie to continue to be a part of their journey, well into the future! Like Brownie here in his very own plane seat, we see the possibilities for all rescuers getting access to better technology!